The things I knew about olives, before we lived in Spain, could be counted on five fingers. Olives with stones or without. Olives stuffed with anchovies. Olives stuffed with almonds. Green olives. Black olives. So here are some facts I’ve learned over the years that I’d like to share with you. To grow flowers and fruit, olive trees need a two month period of cold weather with temperatures dropping below 10°C or 50°F; and also a fluctuation between day and night time temperatures. There is such a thing as too hot and too dry which inhibit flowering, even though the tree itself is able to tolerate these conditions. 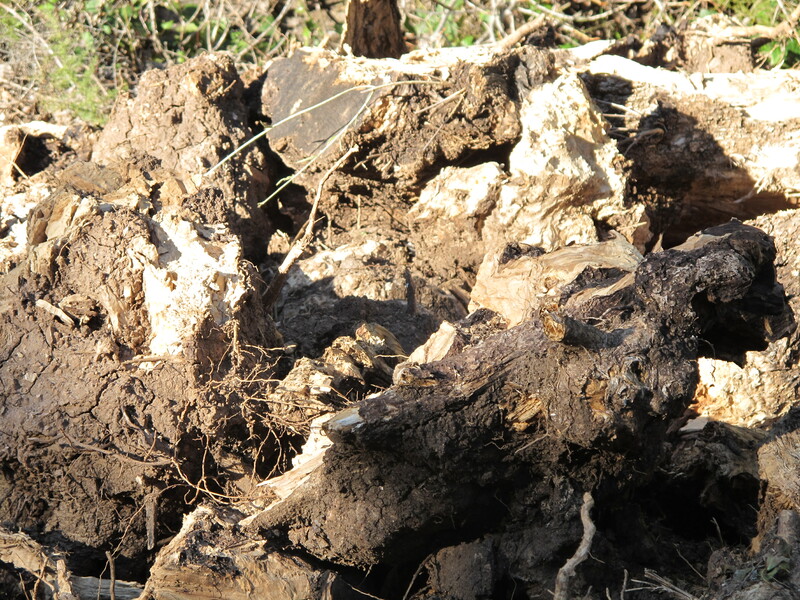 There is also the problem of too much rain, although olives need rain in the autumn in order to fatten up. 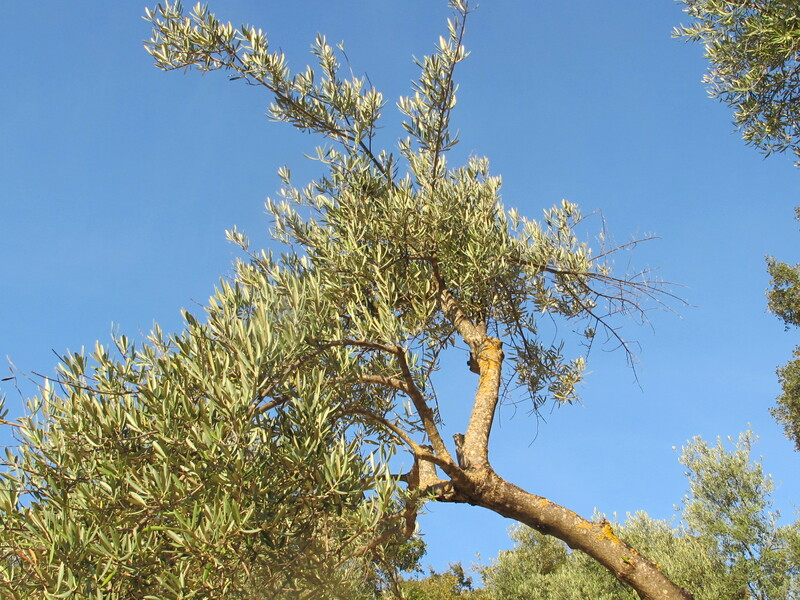 Olive trees are wind-pollinated. The flowers grow in late spring; there are two types. Perfect [containing both male and female parts] which are capable of developing into the olive fruits; and Male, containing only the pollen-producing parts. Fruit setting is often erratic and in some areas, especially where irrigation and fertilization are not practiced, bearing in alternate years is the rule. The trees may set a heavy crop one year and not even bloom the next. This happens around us. Not all buds will turn into blossom and subsequently into fruit. Some will become first shoots and then branches which, in turn, will generate new buds. And so the olive cycle is guaranteed. Fruit is produced at the tips of the previous year’s growth; so excessive pruning will prevent fruiting though thinning of the crop is recommended. The Spanish cure their olives in brine and eat them with a pinch of salt; our neighbours were perplexed by my jars of olives cured and bottled with rosemary, lemon, thyme and chilli. This entry was posted in Nature and tagged Andalucia, olives, Spain, trees on May 23, 2018 by sandradan1. In terms of the lifespan of an olive tree, ours are not even toddlers. 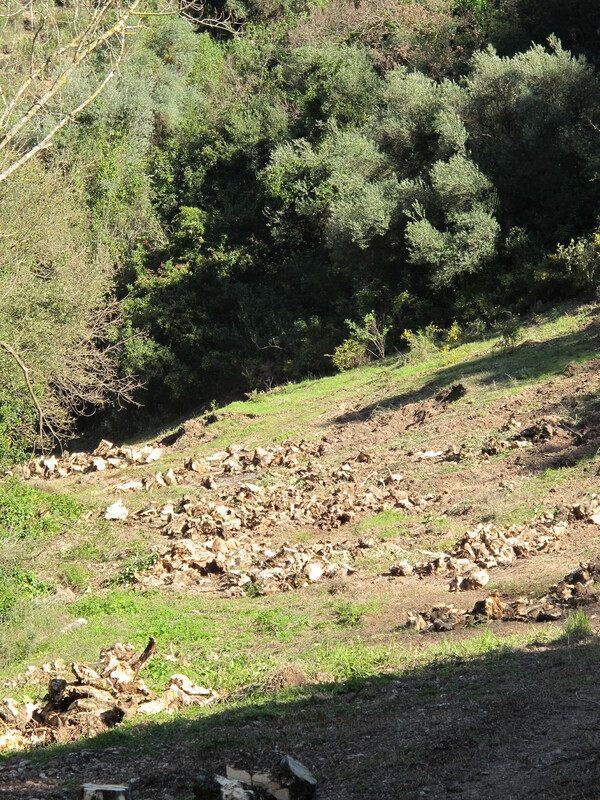 Some olive trees live to be 1500 years old, the average lifespan is 500 years [or less depending on the Spanish Government’s periodic grants to farmers for planting new varieties, which sees the old trees ripped up]. Humans have been eating olives since the Bronze Age. Many olive trees around the Mediterranean have been dated to 2000 years of age, an olive tree in Croatia is still fruiting at the age of 1600 years. 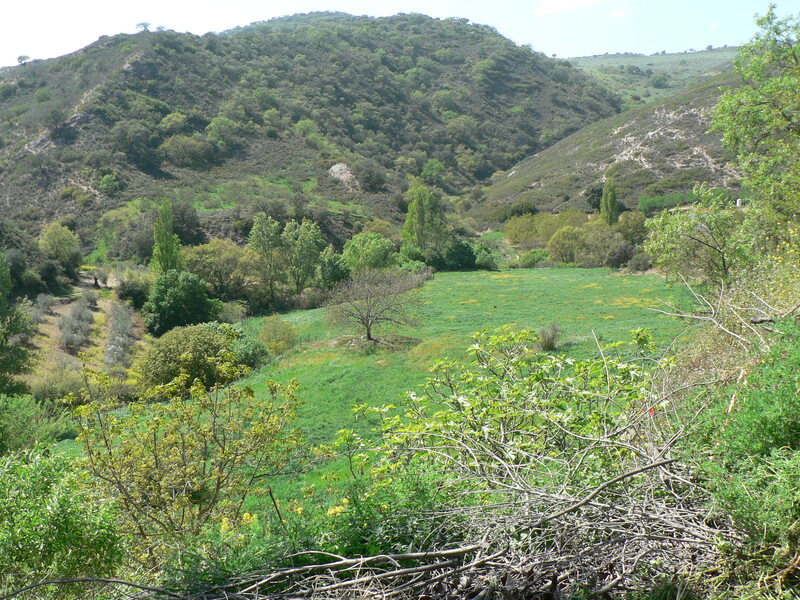 Our olive grove was a field when we bought the property, it had been used as paddocks for livestock rearing. Previously wheat was grown there hence the ancient ‘threshing patch’. We removed the fencing and planted olive trees which have taken five years to grow to the size you see below. The threshing patch remains untouched. 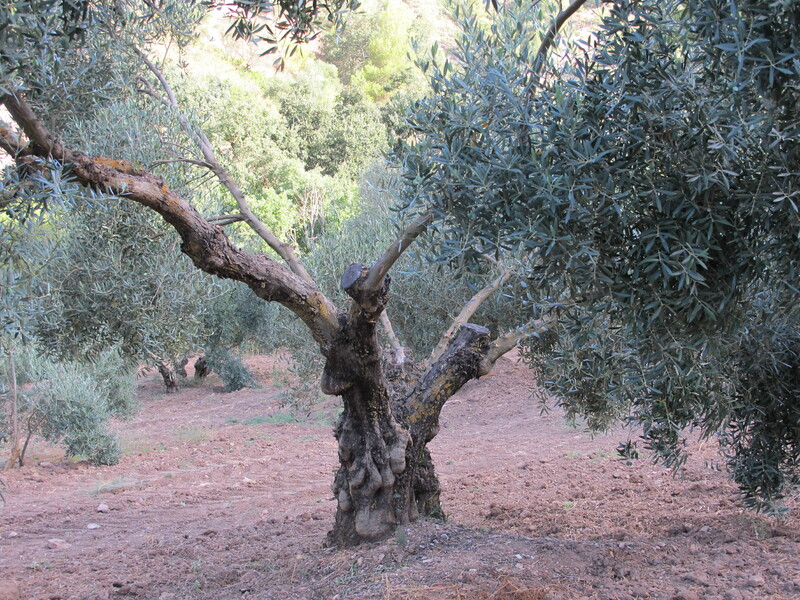 Read these two Olive Oil Times articles: the first explains the life cycle of the olive tree, the second about a Spaniard rescuing millenary olive trees. 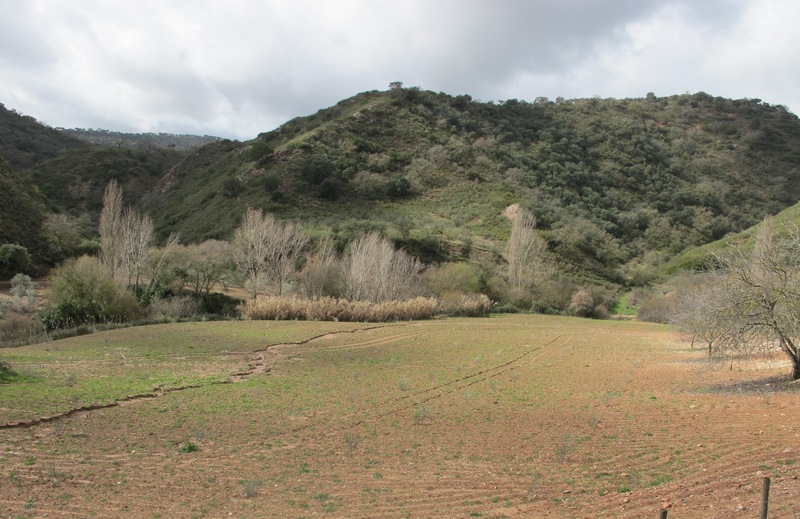 Here are two previous articles published on ‘Notes on a Spanish Valley’ about our threshing patch: the first explains its origins, the second is a photographic tour throughout the year. 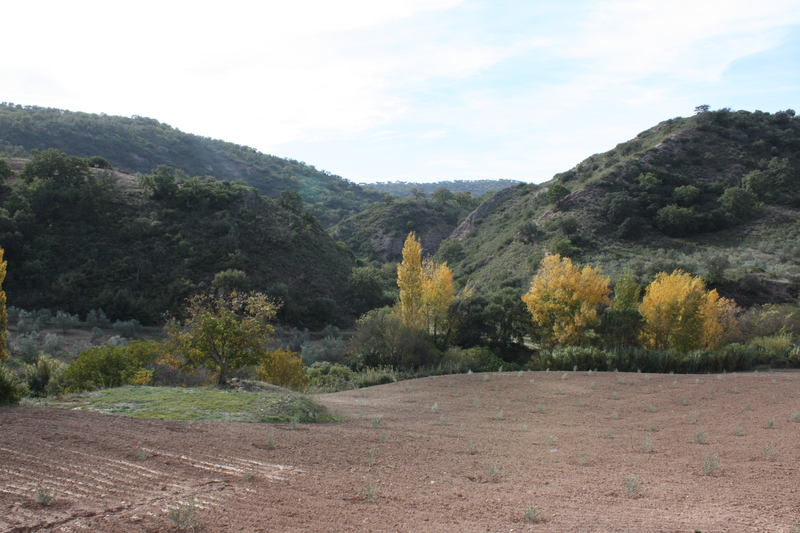 This entry was posted in Garden, Nature and tagged Andalucia, olives, Sandra Danby, Spain, Spanish countryside on February 13, 2017 by sandradan1. 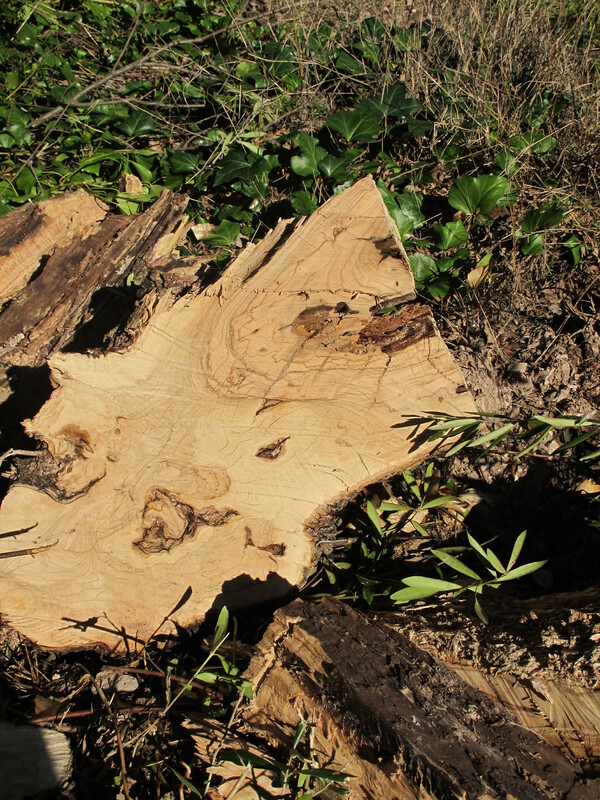 The first time I ever saw olive wood was in Greece, Skiathos to be exact, on my first ever beach holiday. It was in the late Seventies when I was a student. I noticed the dark-grained wood everywhere in Greece: chairs, tables, plates, bowls, picture frames. And I bought a set of coasters: odd, I know for a 19-year old without her own home, I can only assume it was all I could afford. So at this time of year, as we walk around the valley where the olive farmers are doing their annual ‘cut’, I remember my coasters. 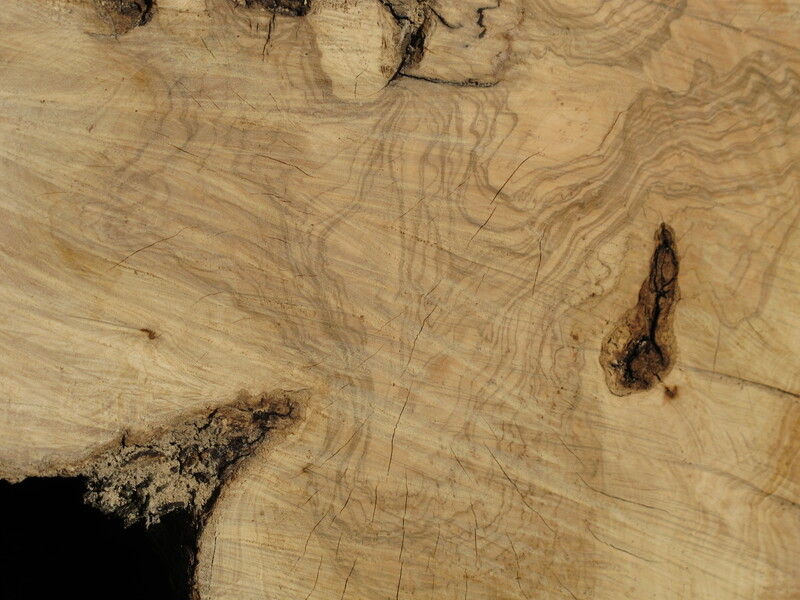 The gnarled, wrinkly branches don’t look too promising, but when you see the cut timber the beauty is revealed. Whorls and whirls, from blonde to black-brown. 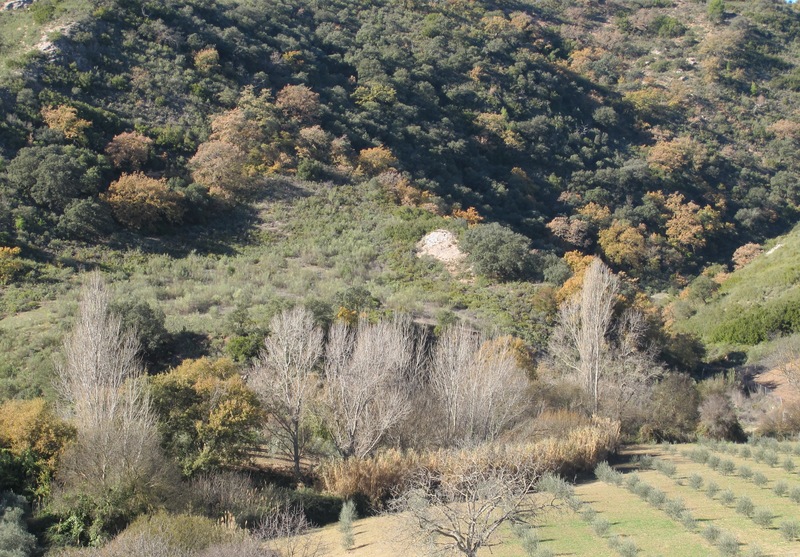 This entry was posted in Nature and tagged Andalucia, living abroad, nature, olives, Sandra Danby, Spain, travel, trees on March 15, 2014 by sandradan1. We bought the house from alpaca breeders who had divided the fields in the bottom of valley into paddocks. This is how the field looked in 2006 before they put in their fences [below]. We bought the house in 2008. Once the alpacas, barn and fences were removed, we decided to plant an olive grove. 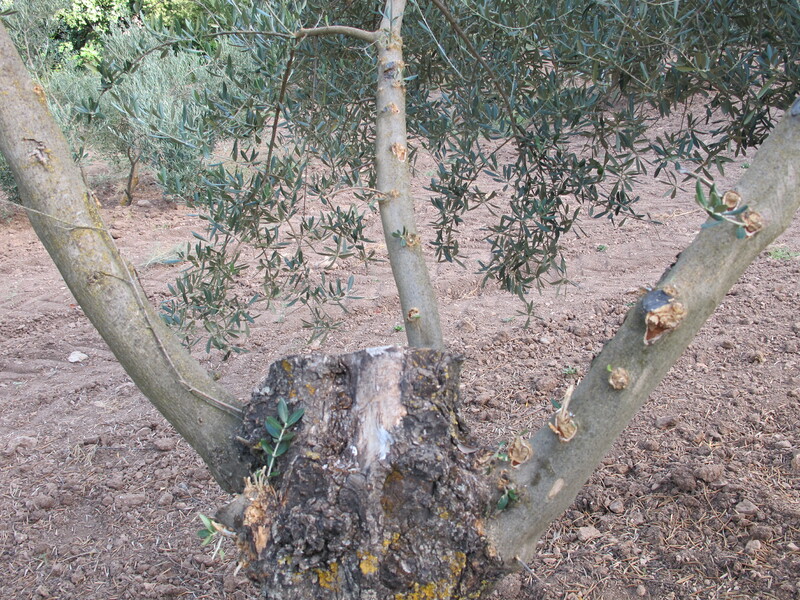 Measurements were taken, and olive saplings bought from a specialist nursery near Seville. The field was ploughed, and marked out into a grid using GPS to ensure the trees were planted in exact rows. In January 2009, 350 olive trees were planted [below]. At first, the saplings were so thin that they were difficult to see in the distance [below]. All we could do then was wait, patiently, for them to grow. Pablo reckoned the trees would start cropping after five years: that seemed a long way off. 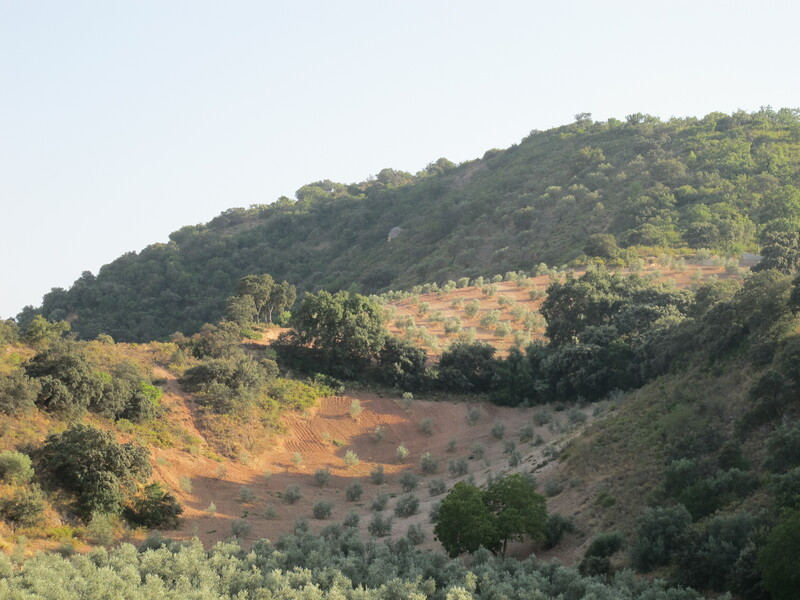 In May 2010 [below], after spring growth and ploughing to remove weeds, our olive grove started to look more like the real thing. 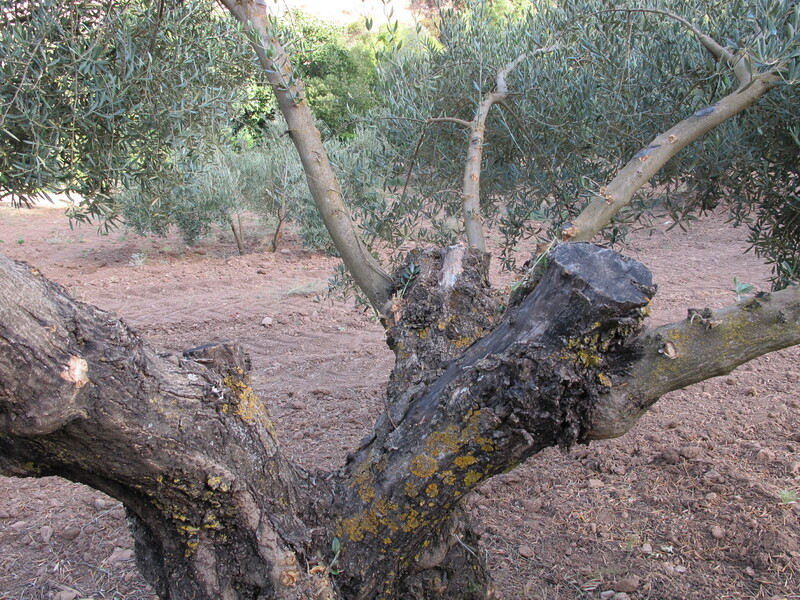 By January 2012 [below], they were recognisably olive trees… … and by October 2013 they were looking impressive. 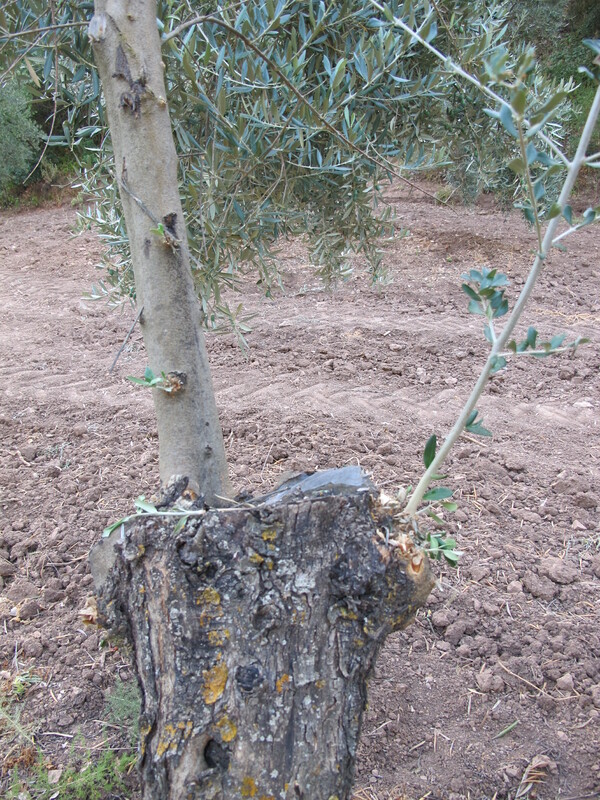 Throughout all this time, the olives on our old trees continued to grow [below] and were harvested in December with Pablo’s olives. Our 30 trees yielded three 5 litre bottles of amazingly green first-pressing olive oil. Enough to last us 12 months. 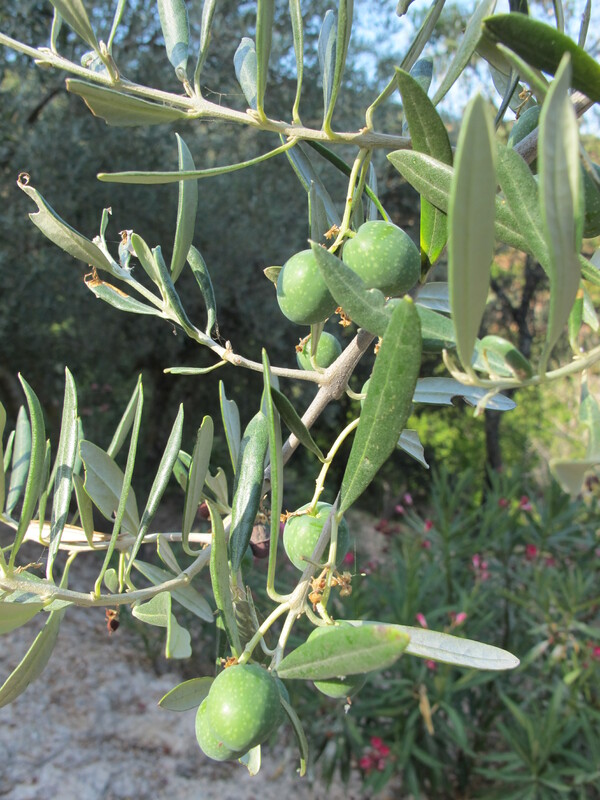 Last year we anticipated December 2013 with great excitement: our first harvest in the olive grove. Sadly this did not come to pass: the drought of 2013 yielded a poor crop of small fruit. Not worth harvesting. So now we anticipate the olive harvest in December 2014. 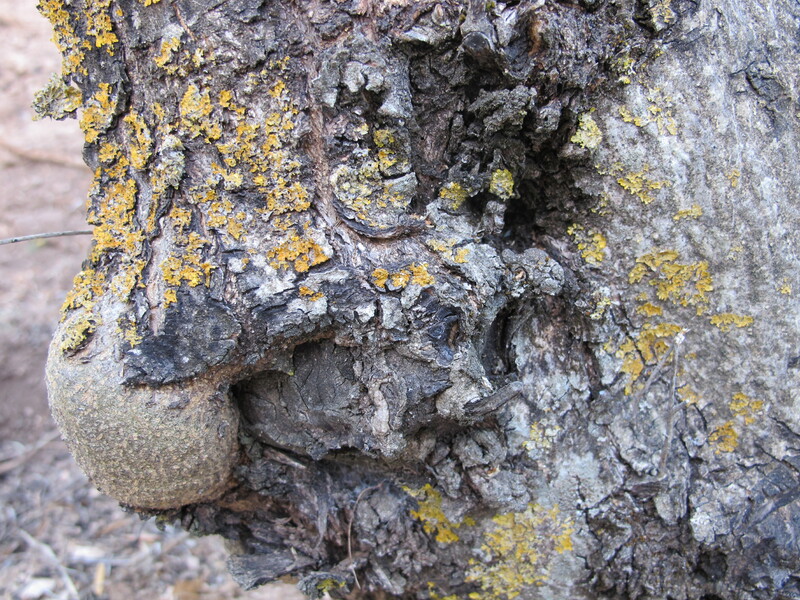 This entry was posted in Garden, Nature and tagged Andalucia, farming, living abroad, nature, olives, Sandra Danby, Spain, travel on February 12, 2014 by sandradan1. 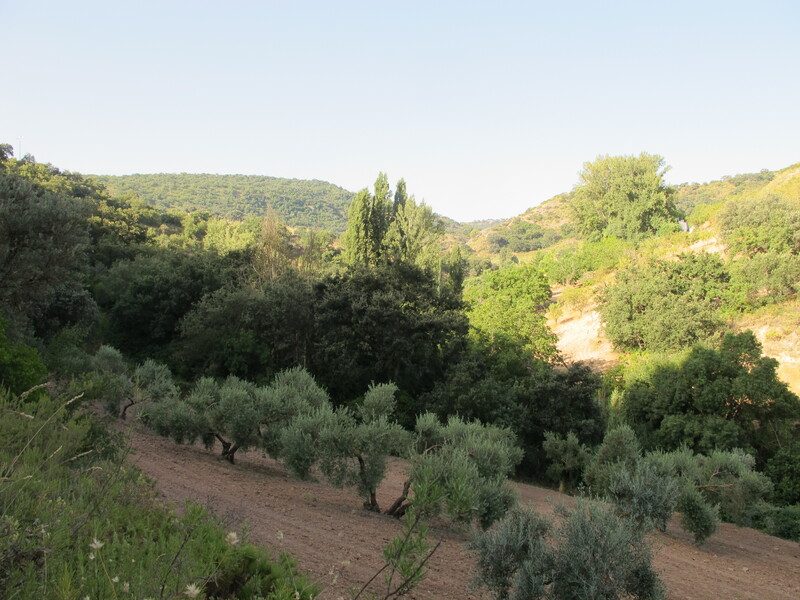 This entry was posted in Nature and tagged Andalucia, olive farming, olive yield, olives, Sandra Danby, Spain, spanish finca on September 3, 2013 by sandradan1.